You are here: Home / family / FREE Valentine’s Coloring Pages for Kids! 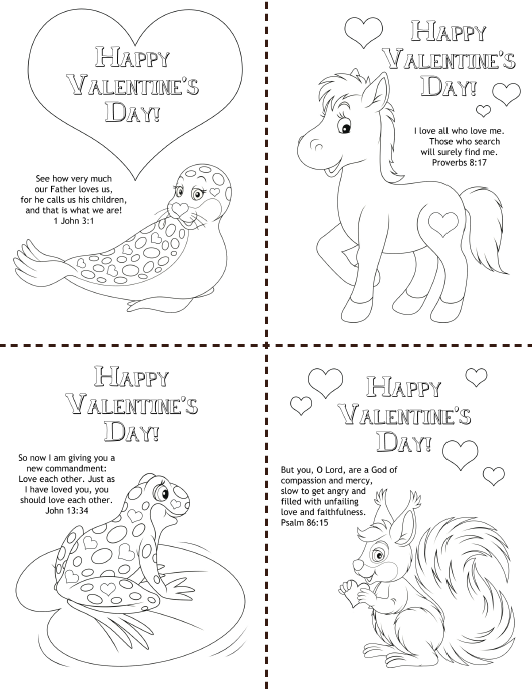 FREE Valentine’s Coloring Pages for Kids! Valentine’s Day is less than a week away (yikes, didn’t February just start?!) which means the last-minute card and candy dash is starting. I can’t help with the candy, but I do have a free printable for you—Valentine’s cards your kids can color in and give to their friends and classmates. Plus, each card has a memory verse about God’s love on it, so your children will be spreading Good News to their peers. Click here to download the coloring sheets! Make sure to stop by the blog on Thursday for another free Valentine’s printable! 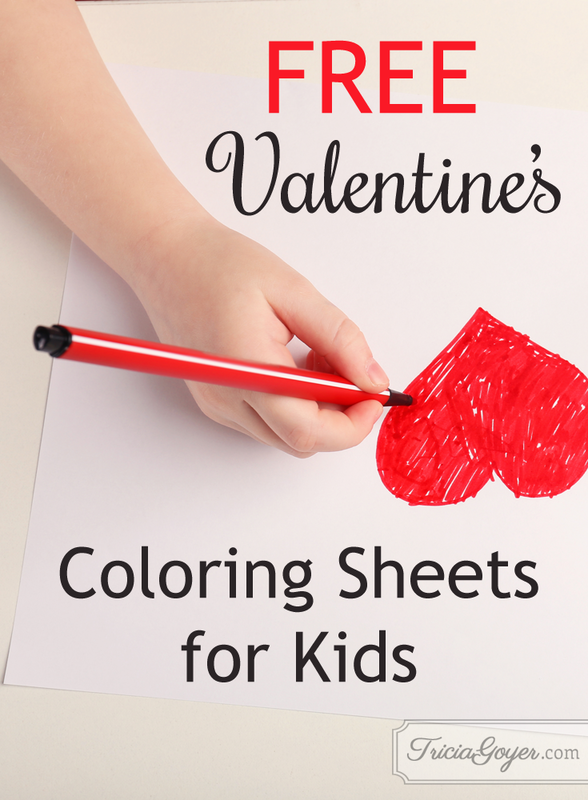 Download @TriciaGoyer’s FREE Valentine’s cards printables for your kids to color and share!